The combination of sore throat and headache can make living difficult for anyone. These symptoms may indicate several conditions, including common cold, acute sinusitis, and other diseases. You have to watch out for other symptoms as well and see your doctor if you fail to pinpoint what causes pain in your throat and head. A common cold is usually the most common reason of your discomfort on throat and head, but there can be other problems too. Here are some specific reasons with their treatment options. The common cold is an upper respiratory viral infection and is usually harmless. It can be quite annoying, because it is not easy to deal with symptoms such as a runny nose, sore throat and headache. Sneezing, watery eyes, slight body aches, mild fatigue, low-grade fever, and congestion are other common signs you may also have. Take plenty of rest and give your body some time to recover. It is important to take some rest because certain OTC medications may also make you a bit drowsy. Drink plenty of fluids, which could be warm lemon water, juice, clear broth, or just water. It keeps you from becoming dehydrated, which is quite possible considering you lose fluids during fever and mucus production. Add half teaspoon of salt in an 8-ounce glass of warm water and use it to gargle. This will help relieve your scratchy throat. Do not swallow the water after gargling. Try saline nasal drops to relieve nasal congestion. They are quite effective and safe for everyone. You may experience breathing difficulty due to nasal congestion and obstruction. You may notice swelling, tenderness, pain, and pressure around your cheeks, eyes, or forehead. You may have reduced sense of taste and smell. You may develop ear pain with aching in your teeth and upper jaw. You may have a fever as well. You may consider using a saline nasal spray to deal with nasal congestion. Your doctor may recommend nasal corticosteroids to treat inflammation. The most common options are Rhinocort Aqua, Flonase, Nasonex, Beconase AQ, and Nasacort AQ. Take OTC pain relievers to reduce pain and inflammation. You can take acetaminophen like Tylenol, or ibuprofen such as Motrin IB and Advil. You can take aspirin as well but do not give it to younger children. Also called allergic rhinitis, hay fever is an allergic response to certain allergens. It causes cold-like symptoms such as a runny nose, sore throat and headache, congestion, itchy eyes, sinus pressure, and sneezing. Other most common symptoms include sneezing, itchy roof of throat, postnasal drip, blue-colored skin under the eyes, and fatigue. You may try nasal corticosteroids to treat your symptoms. Several prescription nasal sprays help relieve nasal itching, nasal inflammation, and runny nose. Examples include Nasacort AQ, Flonase, and Nasonex. Take OTC antihistamines such as Claritin, Zyrtec Allergy, and Allegra Allergy. You can even find prescription antihistamine nasal sprays, such as Patanase and Astepro to relieve nasal symptoms. Try Cromolyn Sodium that you can find as an OTC nasal spray. It is also available in eye drop form and prevents the release of histamine. You have to take it before you have symptoms or it will not be that effective. You may feel your throat sore and irritated due to bacterial infections. If it is strep throat, you will have several symptoms other than a sore throat and headache. For instance, you will have throat pain that hurts you out of nowhere. You may also develop red, swollen tonsils with streaks of pus. Other symptoms include painful swallowing, fever, body aches, rash, and nausea or vomiting. You may also develop tiny red spots at the back of the roof of your mouth. Your doctor may give you antibiotics to help clear the infection. They usually prescribe oral antibiotics. 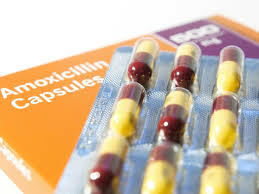 You have to take these antibiotics within 48 hours of developing the symptoms. This makes antibiotics a lot more effective against bacteria causing strep throat. You can also try OTC pain relievers to relieve throat pain. The most common options are acetaminophen and ibuprofen. You have a sore throat with swollen and tender lymph glands. Your sore throat does not improve after 48 hours. You have fever that lasts longer than 48 hours. You have problems swallowing or breathing. You have a history of chronic or recurrent sinusitis.